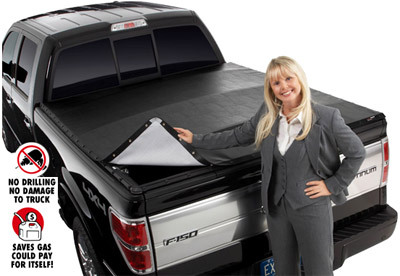 Soft tonneau covers combine protection and convenience. Soft truck bed covers are easily installed and removed, and are an affordable way to quickly protect or access your cargo. Lightweight vinyl soft tonneau covers are the most popular type of truck bed cover and give pickup truck owners a cost-effective way to protect your truck bed and belongings from dust, weather and theft. Cap Connection in Waukesha provides the best value in soft tonneaus with an extensive selection of products from top manufacturers. Cap Connection has the most complete selection and best prices on soft tonneau covers and many other truck accessories. No matter the make or model of your pickup, we can help you find an affordable truck bed cover you’ll use for years. Contact Waukesha’s soft truck bed cover dealer today for more information!